I was standing on the boardwalk near Jackson Square in New Orleans. This shot is a long exposure to smooth the water out. However, the color is natural...it's called Blue Hour, the 20 minutes or so after sunset. But sometimes the "blue" is more lavender, which is what occurred here. 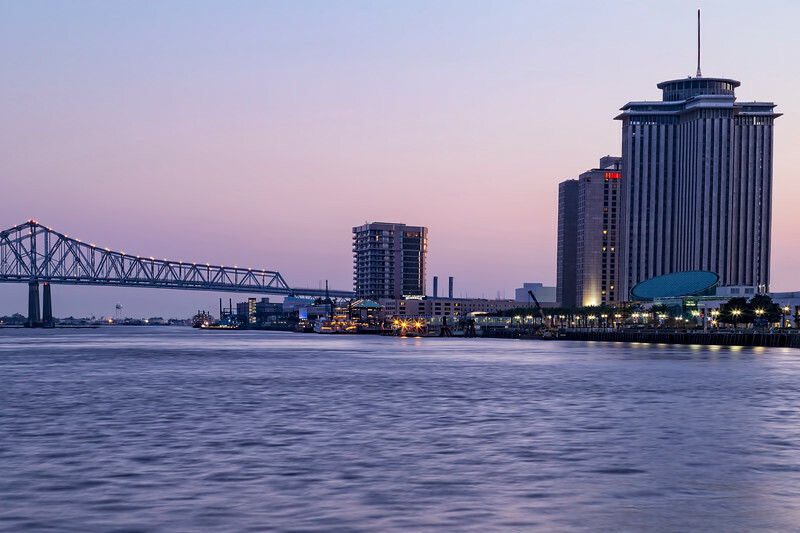 The bridge is the Crescent City bridge which crosses the Mississippi River.